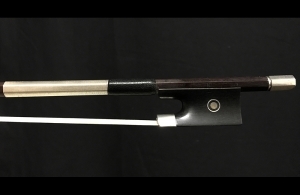 Description: A third generation bow maker, Charles Louis Bazin was born in 1881. At the age of twenty six, Charles Louis took over his father’s workshop where he produced his renowned bows until his retirement in 1952. 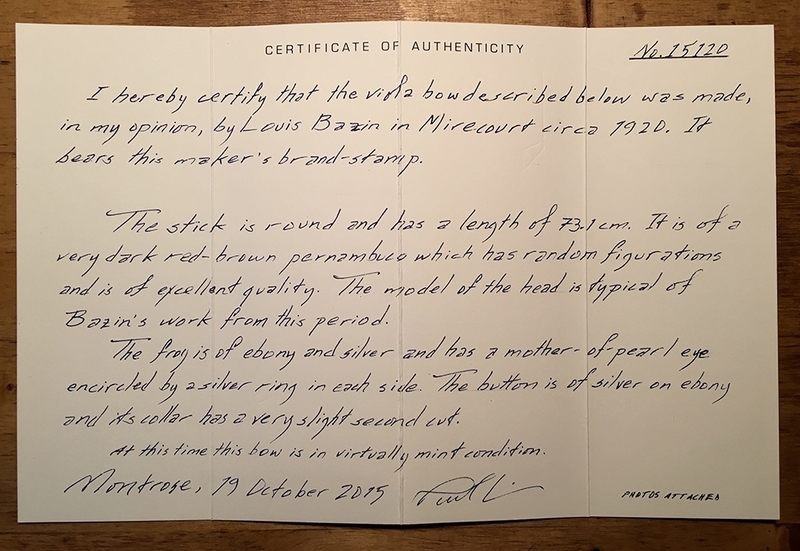 With a great family heritage and thorough training, Louis Bazin’s bows are of splendid quality and well sought after by professionals. 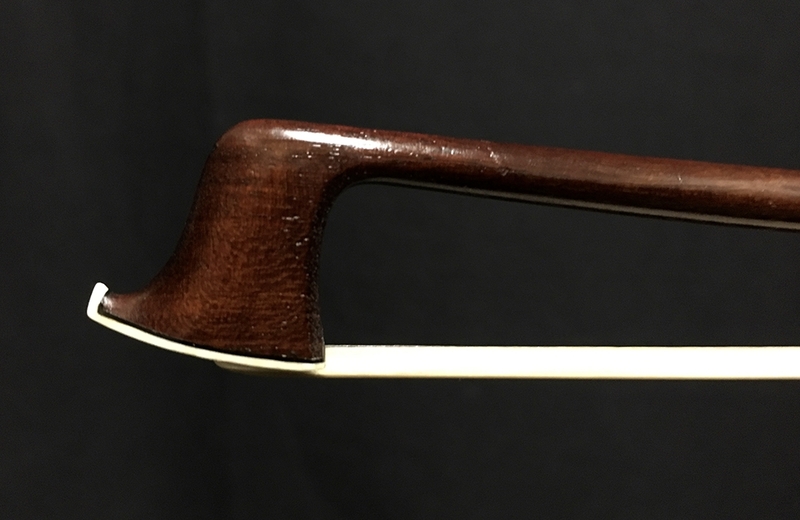 This particular bow is in virtually mint condition. 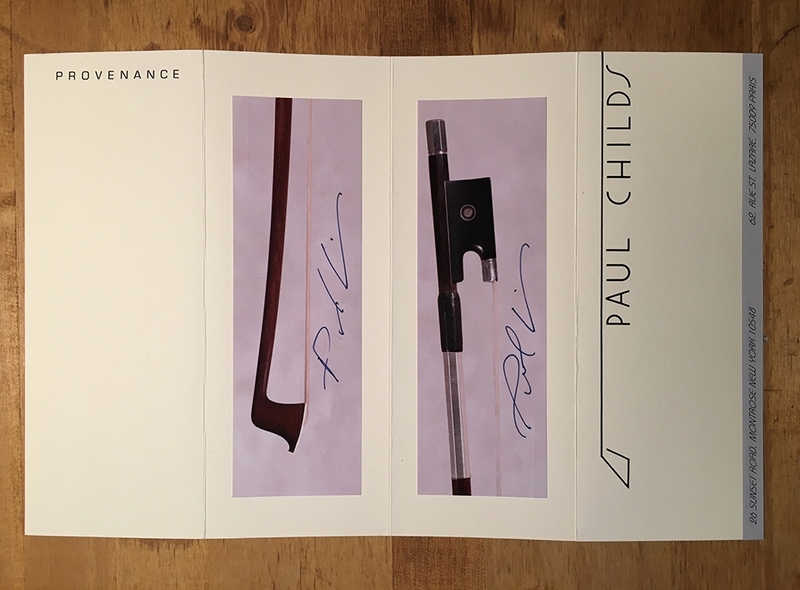 Certified by Paul Childs in New York where he describes the bow: "The stick is round and has a length of 73.1 cm. It is of a very dark, red-brown pernambuco which has random figurations and is of excellent quality. The model of the head is typical of Bazin’s work from this period. The frog is of ebony and silver and has a mother-of-pearl eye encircled by a silver ring in each side. The button is of silver on ebony and its collar has a very slight second cut.” Weight: 68.2 grams.